Never stop pedalling to power your dreams. The early morning sun penetrated the silent mist which was creeping majestically across the still surface of the lake. A patch of tiny bubbles fizzed over my baited area revealing the presence of a dawn feeding fish. I was alone on this secluded pretty venue which boasted mature over hanging trees, rich weed beds and a handful of forgotten carp. 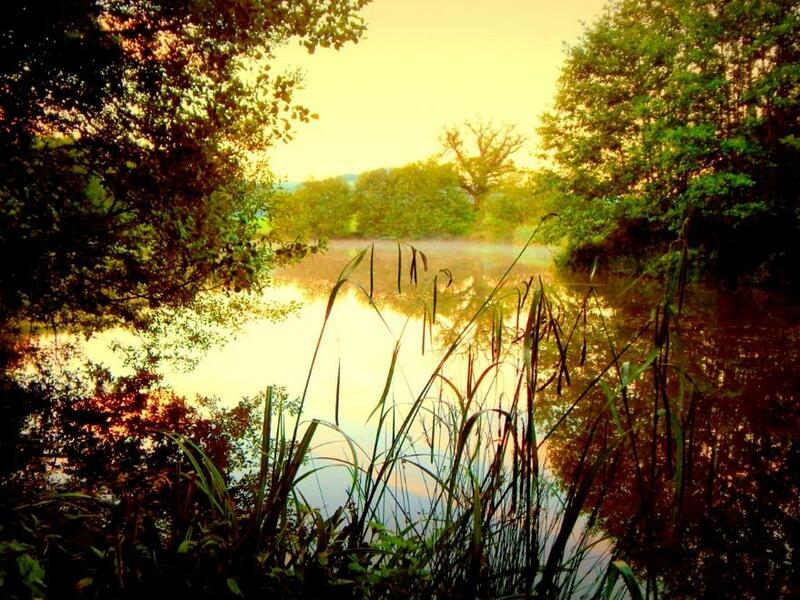 This was a venue that was not dominated by carp, the stocking history was hazy, I had been lucky enough to observe maybe half a dozen different fish on a couple of early morning recces in the Spring, which is when I decided to target them. They were forgotten carp that had not been angled for, stocked at some point in history, left to grow in this ancient weedy lake. Tales of such venues excite the imagination and it would not be the first time I had followed up on such rumours. I wanted to turn the invisible into the visible, that is the charm of fishing, it is the pursuit of what is elusive but also attainable giving perpetual hope to all anglers. 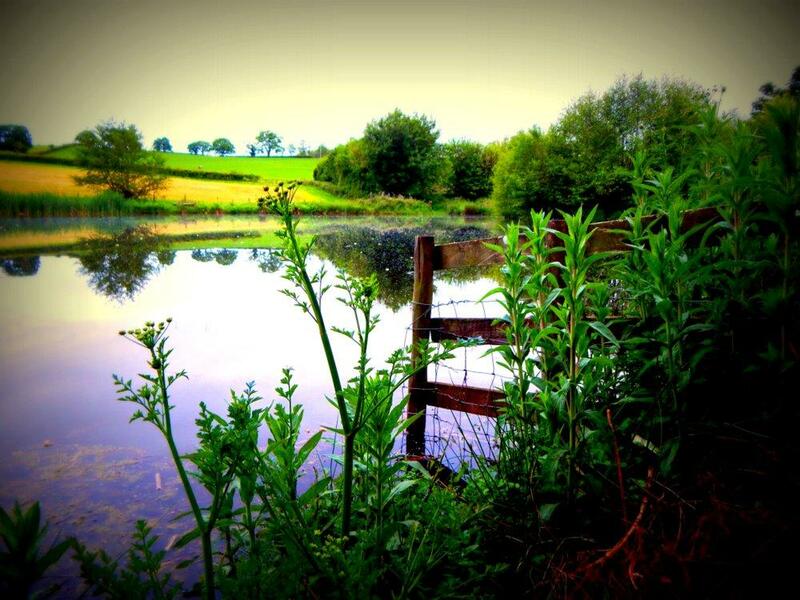 Deep in the heart of the rolling countryside this was a lake that time forgot. As I stood on the banks during that majestic dawn I had just returned my first forgotten carp to the water. It was the first day into my short campaign and as the dawn chorus enveloped around me, the sky illuminated with faintly gold and soft pink and my thoughts were filled with the secrets I hoped to unlock from this peaceful mature venue. I experienced my first sunrise on the venue and I was not disappointed. The bright sun rose beyond the luscious hills, illuminating the lake in a warmly orange glow and the reeds took on a fiery hue. I paused, took a breath and enjoyed the present moment. Right now, I was feeling jubilant however during the past 24 hours I had experienced excitement, frustration, doubt and panic. The night had brought my first forgotten carp, here’s how the events unfolded. It was late May and I arrived at the lake early in the afternoon with the intention of fishing the night for which I had been given special permission by the land owner and with it being a bank holiday I half expected to be sharing the lake with other anglers however it turned out I was alone, at least for now anyway. 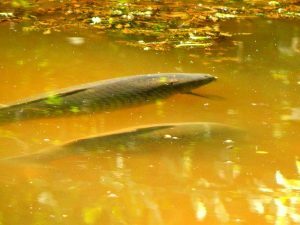 On arrival, I walked past the shallows and spotted a decent carp, certainly a double, cruising between the weed beds, I quietly crept along and dumped my gear further up the lake and returned to the shallows with a handful of boilies. The carp was still mooching about so I flicked in a few broken boilies in its direction, the carp did not bolt neither did she drop down to inspect the freebies. The fish carried on cruising amidst the weed then returned to the area the boilies had settled and stopped directly above them, for a second I thought she may even inspect the fruit flavoured offerings when all of a sudden I heard snapping twigs and approaching footsteps. “Life’s too short” was his reply. I threw the remaining boilies into the water, gathered my rods and headed for the shallows of Tench Bay. Due to the day being warm I fancied a bit of stalking hoping the carp would visit this area in the afternoon sun. I crept through the long grass and immediately noticed a cloud of mud dispersing in the water towards the island, a sign of feeding fish, then through the polaroid’s the unmistakable dark back of a common carp gliding into the bay, dropping down as it approached the island. Both rods were already made up with helicopter rigs to combat the soft mud on the lake bed and bait was a single boilie tipped with plastic corn fished snowman style to slow its decent. This time location was easy, one rod cast towards the island amongst the cloud of mud and the second in the entrance to the bay both accompanied with half a dozen boilies. The couple of hours that passed were frustrating as two carp regularly cruised in and out the bay but rarely stayed in my baited areas, once or twice I lost sight of the carp as they drifted down and sent up plumes of mud as they fed near my hook bait. The reality of the challenge started to dawn on me, I was the first angler to introduce boilies into the venue and with the abundance of natural food in the lake they had no reason to feed on my bait, perhaps life was too short! The next best thing to catching carp is observing them in their natural environment and I always try and learn something about my quarry. That afternoon after watching those fish I learnt their patrol routes in and out of the bay and made a note of it, this may come in useful later in the season. The other member started to pack up after a successful day perch fishing with several fish including a few over the 2lb barrier and as there was only around an hour of daylight left I decided to give it another 10 minutes before moving in to my night pitch. As I turned my attention back to my rods I noticed the tip on the rod positioned near the island slowly tighten as the bobbin rose. As I lifted into the fish I knew it was not my intended target and as suspected a plucky tench around 4lb soon graced the bank. The disturbance of that fish meant the carp had moved out of the bay so it was time to settle into my swim for night on the opposite bank. I had chosen to spend my first night fishing to a clear area towards the middle of the lake which had weed beds behind and either side. I had prebaited this area over the last couple of weeks hoping to entice the carp in with plenty of 14mm boilies although from what I saw this afternoon the carp were in no rush to take them. The hook baits were fished close together with about 40 boilies going in over a large area to get the carp searching for a meal. The brolly was soon set up and I sat back and enjoyed the lingering light as the glowing orb sank beneath the horizon. Due to the arduous trek through the woods to reach this secluded venue I had to travel light, no bedchair, just a reclining chair, no sleeping bag, instead a thermal cover, sandwiches and bottle of squash as the kettle and stove had to be left at home, there wouldn’t be many creature comforts during these sessions. 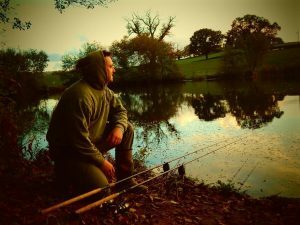 As the darkness fell, I was becoming impatient the rods remained motionless and doubt was starting to set in, had I chosen the correct swim, had I fed too much or not enough bait? This was intensified around midnight when I heard a fish crash in the shallows. As the clouds departed and the moon shone brightly I drifted off only to be awoken by an absolute screamer at half 3. 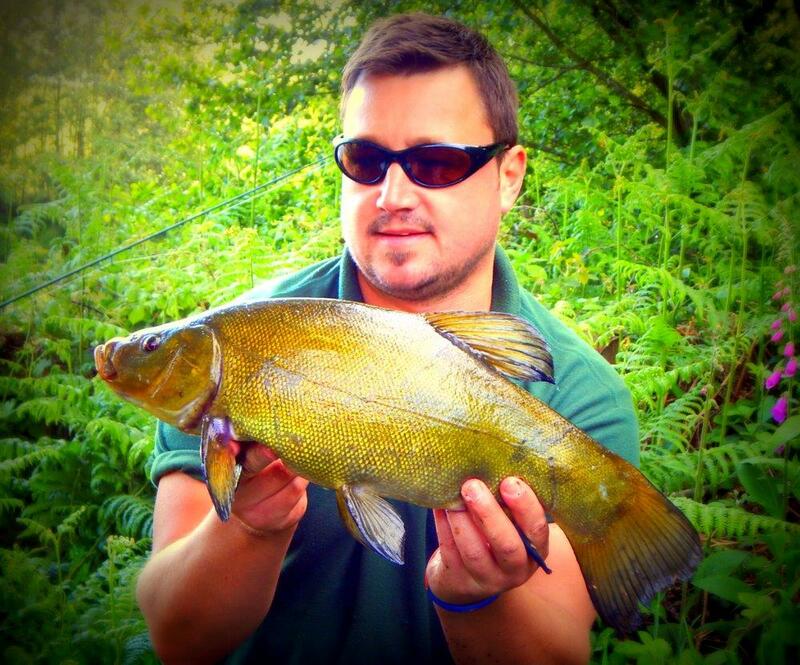 I leapt from my chair and lifted into what was obviously not a tench! The fish headed for the reed bed on the far bank I had no choice but to apply strong pressure and hope I could persuade the fish to change direction, I managed to gain some line back as the fish kited to my left powering towards the jetty in the far corner. Due to the overhanging branches, I had to stand in the water to attain the necessary angle to stay in in contact with the fish which felt athletic and strong. The line started grating on what was probably a weed bed or submerged branches as I felt my chances of landing the fish diminishing. 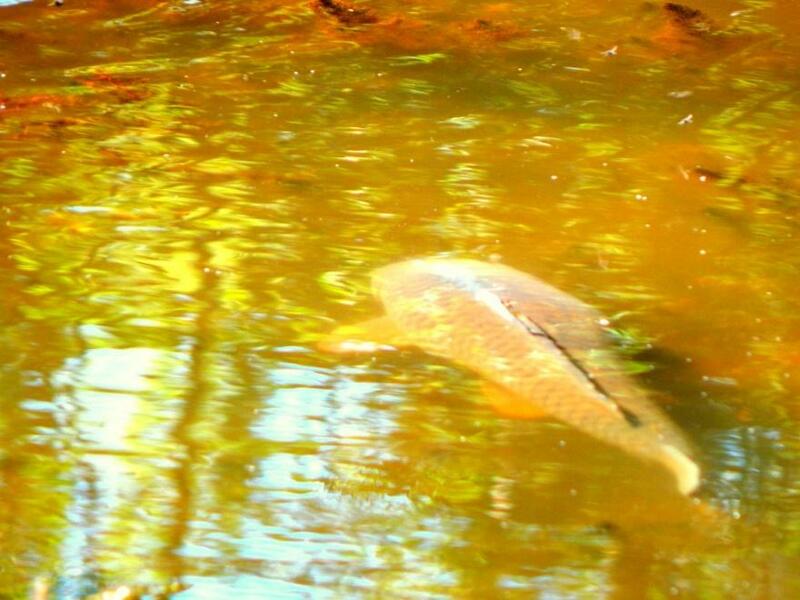 The carp felt as if it was tiring and the runs became less vigorous and was almost in front of me as it made another determined deep run, suddenly the bite alarm on the other rod started bleeping. Due to the thick weed bed directly in front of the swim it was impossible to use back leads and as the fish rose to the surface I caught my first glimpse of a forgotten carp in the moonlight. Panic set in as I realised the carp had picked up my second line which looked to be tangled around it pectoral fins, it soon became apparent that I would not be able to get the required angle to net the fish. I dropped the net and picked up the second rod, raising it high into the air to try and force some slack line required to guide the carp closer to the bank, it was heart in the mouth stuff as I dropped the second rod and made a lunge with the net towards the fish, with the rod at full curve I had just enough angle to net the fish, I was overwhelmed with relief as the carp safely nestled in the mesh. I bit through the lines and put the tangled rigs to one side until I had safely dealt with my first carp from the venue, it was long, lean and powerful with an immense tail and vivid colours, a truly wild fish. I guessed it would fall short of a double and the scales confirmed it at 9lb 10oz however it did not matter, it was an uncaught carp and a special capture on my first night session. It was impossible to say if it was one of the fish I observed swimming the previous day however I had spotted a couple of fish which were bigger than this so that was an exciting thought. 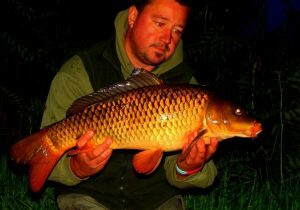 It was a massive confidence boost landing that first carp from such a low stocked venue. I was pleased that my swim choice and tactics had come to fruition. Shortly after a few photos the carp was safely returned to the water, the dawn began, I stood there and savoured the moment. Following my success, I had only managed one-day session which resulted in a few tench since my opening night and I was itching to be back on the water. A week later I suddenly found myself with a free night, there was only one thing on my mind and that was to get back to the lake. This was going to be a very impromptu session it was already lunchtime so I wouldn’t arrive much before mid-afternoon, my son also had an appointment the following morning so I would have to be back reasonably early however my gut feeling was to go fishing and I often go with my gut! The van was loaded up in record time and I was soon on the road. It was a warm summers day accompanied with a strong wind blowing into the north bank and as I stood at the water’s edge I noticed the dragonflies battling the breeze like helicopters caught in an updraft and the reed mace rustling with every gust. I felt my best opportunity was to fish the same swim as before and bait up ready for the night ahead. 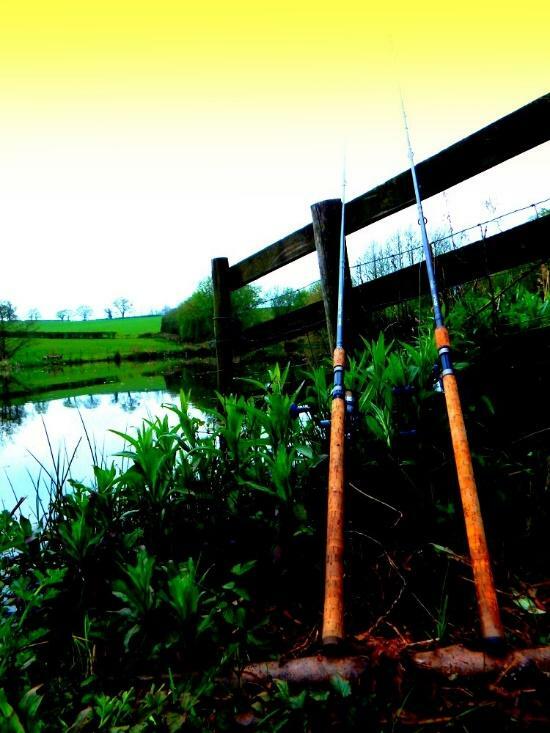 The rods were soon cast out, one into open water and the other slightly further towards the weed bed near the far bank and again baited up with around 20 boilies over each hook bait. The lake was becoming my retreat, far from the fast-paced overcrowded world we live in and I was enjoying these halcyon days. Just being by the water gave me pleasure, the secluded serenity, the nature, the unknowing what the lake holds gave it a mysterious atmosphere which was slowly gripping me tighter with every visit, this was a unique venue. With the rise of commercial fisheries, it is very rare to find such a beautiful serene utopia and I planned on spending as much time here as I could spare in the short period I had available. As the afternoon drew on the wind lessoned to reveal a pleasant summers evening which rewarded me with a brace of tench in the 4lb bracket. As the evening drew on the clouds thickened and turned dark, the wind returned stronger than before and it felt as if a storm were approaching. These conditions did not deter my enthusiasm as I have caught many times in the past during strong winds and quite welcome them when fishing for carp. All of a sudden, the heavens opened bringing a torrent of rain and darkness fell sooner than it should of. My brolly started to creak like an out of tune violin in the relentless wind and all I could do was to sit tight as the storm hopefully passed over me. The shriek of a barn owl taking cover in the woods was apt on such a night as ghoulish as this. The rain lasted a couple of hours before it eased off then completely stopped, drops hung from the branches overhead only to be released when the wind persuaded them to fall downwards. The ground around me was saturated, no moonlight penetrated the clouds creating a very dark night. An hour after the storm, around midnight the right-hand bite alarm signalled a taking fish and screamed louder than the barn owl in the pitch dark, I was on the rod within seconds. The fish had taken sufficient line to reach the weed bed that I was fishing close to and as the rod took on a healthy curve I looked skyward, the clouds looked so low that the rod tip would touch them. 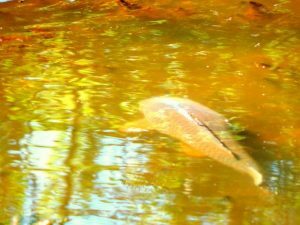 There was no mistaking it was another carp, the sheer power giving it away and I leant into the rod hoping to turn the carp into open water. The line went solid as my heart sank, I knew opportunities would not come along very often when chasing these elusive fish and for now I hung on with steady pressure. A couple of minutes passed then I felt a kick transmit through the taut line, the carp was still there and felt as if it had turned, with a rotation of the reel handle I gained some line but the fish still felt weeded up. I pumped again this time I managed a couple of turns of the reel handle and the fight was back on as the fish headed to my left taking line away from the weed bed. 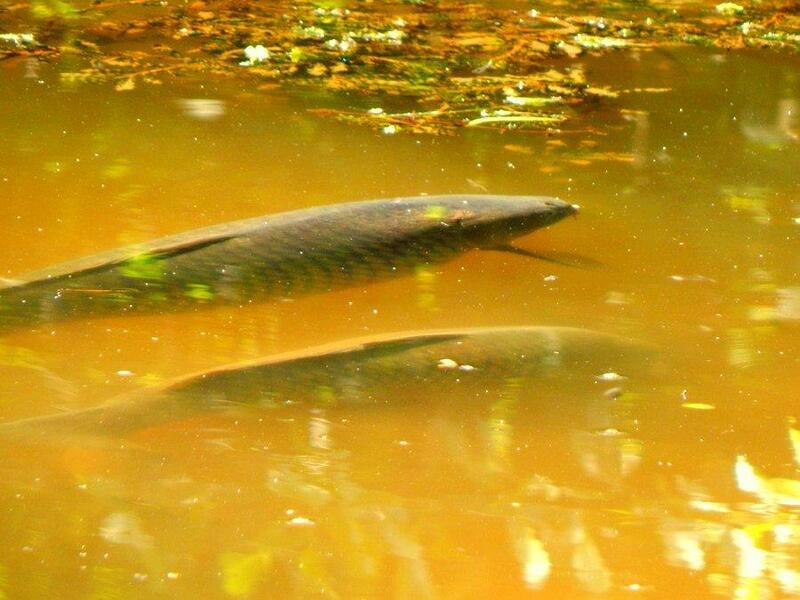 These forgotten carp had been raised on natural food and every day was a fight for survival and it showed as they fought with every muscle and ounce of strength. The carp drew closer, however my first attempts to net the fish only saw her power away with an almighty flick of her tail and the water boiled as she disappeared into the dark depths. On my sixth attempt, I finally slipped the cord under her as she graced the soft mesh where I left her to rest for a few minutes to regain her strength. It looked larger and bulkier than my first and I was certain it would be my first double from the venue. I weighed her twice, both times the scales read 10lb 9oz, confirmation indeed it was my first double from the venue. It was not a big fish by today’s standards however it was deeply satisfying knowing that I had been the only one to target these wild fish and that these carp had never been caught before. 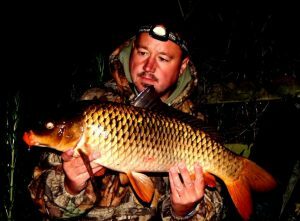 So far, the lake had been kind to me and as I knelt in the wet grass droplets cascaded from the branches above in the aftermath of the storm it was all worth it as the vivid colours of the carp presented themselves in the torch light. She boasted a dark back and scales of saffron, the head could have been carved from oak and the tail fin glowed a burnt orange. 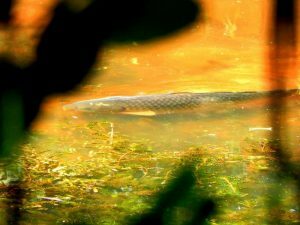 I returned her to the lake and with an effortless flick of her tail she glided through the weed and into deeper water. The rest of the night was calm as the wind eased and the clouds departed leaving a clear night which brought a stunning dawn full of colour and a triumphant atmosphere. My time on the venue was short and the fish will not make the headlines however until I decided to fish for them, they were forgotten and uncaught. It was some of the most enjoyable and pleasurable carp fishing I have embarked on, it was an adventure, fishing for the unknown, a pioneering campaign that promised little yet rewarded me greatly.